Discussion in 'Android Devices' started by TheNamelessMan, May 8, 2012. I am a tablet junkie. I've had everything from the first ipad to the galaxy tab 2 7.0 (And almost every Samsung and Asus Tablet inbetween). I'll make this review into bullet points with some thoughts, rather then a long and drawn out thesis statement. -It's very stable. MUCH more stable then the Prime. From an OS standpoint, I've had zero hangups in the stock browser and in apps. It's doesn't feel buggy at all, and in fact it seems to move faster then the prime. -Don't pay too much attention to the reviews about the build quality of the tablet. It's not as thin, weighs a bit more, but it's nothing you'll really notice. The back plastic plate looks very sharp in the blue, and I personally like it alot. -The reviews about screen brightness: Can't really tell that much of a difference unless you've got the TF300 and the Prime next to each other. The screen is excellent. And the speakers are loud. Button placement also feels better. -WiFi and GPS problems have been fixed. They are on par with every other tablet now. No problems here. -Battery life is pretty strong. Not insane like that Acer or Ipad, but strong enough to get through a day with normal usage on medium brightness settings. I could care less about the lesser IPS display because A)You can't tell the difference, and B) I don't plan on using the tab in the middle of the sun. -Stock of this tablet is good nationwide. This tablet is meant to replace the Prime, and Asus knows this. -Get the 32GB model. It's only $20 more expensive then the 16GB Model. -Only one wallpaper. No lock screen AND home wallpaper. Oh well. -ICS 4.0 comes preinstalled, with an Asus firmware update out of the box. -Put the Tab on a charger for a good 2 hours before turning it on. Trust me on this one. 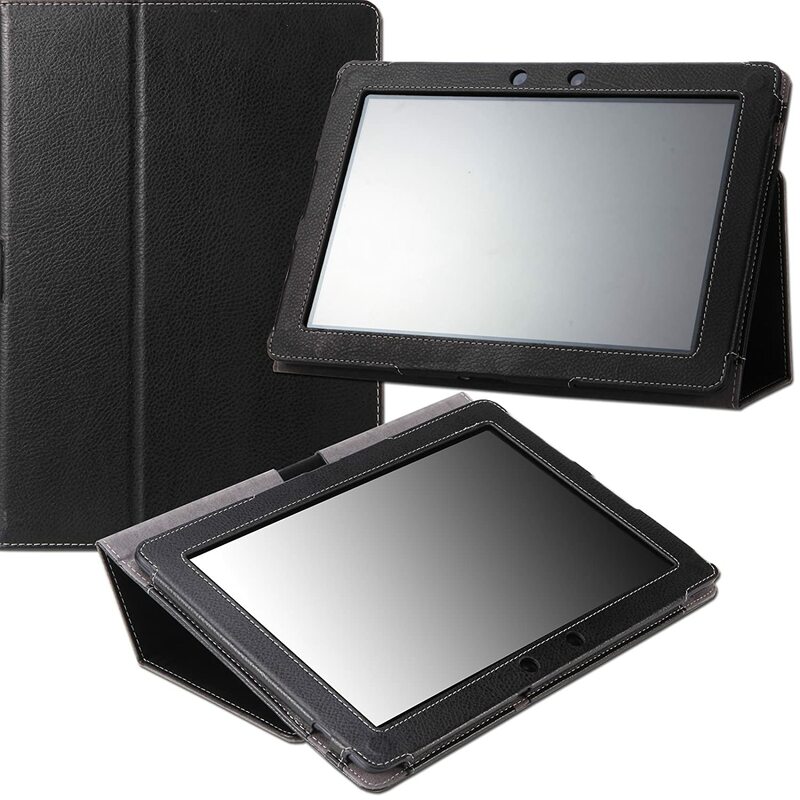 Make this EXACT same tablet, in the form factor of the Galaxy Tab 8.9. 10.1 is good, but can be a little big. Make it a little smaller, but bigger then the 7.0. I know the MeMo is coming out but that tablet does not look visually appealing to me at all. Podivin, Poncho Villa, breadnatty08 and 6 others like this. I agree with everything he said, pretty awesome and thorough review/comparison. One thing I would like to add though is that even though this tablet seems sturdy (and overall is) I have noticed around the edge of the screen that the screen is NOT tightly adhered to the chassis. I returned my first 300 because of a dead pixel and on both the original and replacement I have found that putting pressure on the edge of the screen causes the screen to depress into the shell. Don't let this deter you though because is still a great quality tablet, I'm just a little OCD. Second day of using mine for a full day. Streaming Pandora at work, at the 8 hour mark, checked the battery and still had 68% remaining. Hot damn! So much better than the Evo could ever do, granted that's not a fair comparison as the Evo is a phone with a small battery, and not a tablet. Either way, I'm loving this thing so far. My case, and 32Gb Card will show up on monday. Cheers guys, have a good weekend! I have the tablet and so far very few things to complain about, pretty awesome in every way. Yeah im sure the tf700 willl be better but this thing was 400 bucks. Best tablet on the market right now. So how's the sound on the TF300T? Doesn't watching a video (without a headset) becomes annoying when it only comes from one side? No, not really. It puts out surprisingly decent sound. The only thing that I think would make it annoying would be if you were holding it in a specific way to somehow muffle or block the speaker all together. Well i'll definitely take it into consideration when buying my tablet .. I got my Moko case for mine today. It has a ovalized slit cut in it where the speaker is on the RH side (holding sideways). The sound obviously isn't going to be 5.1 Dolby HD, but it's perfectly fine for what the average user is going to use it for. It goes pretty loud, and if Netflix in your room or office was needed, a cheaper pair of Logitech speakers would work awesome for some added stereo sound. Is it specically for the TF300? Because i seem to find a few which are labeled for prime and TF300. I ordered the Moko case for my tf300 as well. My wife has basically the same case for her galaxy and it is really a nice case, super slim and protects just enough. It says on Amazon that the item won't be in stock until the 19th, we'll see when I get it delivered. Using the table without a case is a pain. I actually carry it around in the original box which is lame. Using the table without a case is a pain. You mean just for carrying around or even when in your sofa/bed/etc.? Well after all this and the mediocre review of the galaxy tab 2 10.1 on engadget i'm really leaning towards the TF300 now. Probably going to get me one of those Moko cases as well.. Mine specifically came for a TF300, yes. That's what the ad on Amazon listed it as. I ordered it on a Thursday, and got it Monday. It was shipped directly from Amazon along with my 32Gb card. The case fits perfectly. All the buttons are easy to access, along with the ports for HDMI, Micro SD, and Headphones. Were you wanting the USB port for charging, or just hooking it up to other devices? The charge cable is a USB Male on the end that goes into the outlet side. My Brothers HP Touchpad has just a Micro B to charge it, so the Asus specific plug is the only "turn-off" for me. However, the performance I have gotten out of the TF300 so far, overcomes the specific charger. I guess if I need another one, I will just buy a spare. And on another note, there is a Asus Accessory, that turns the dock plug into a standard USB connection. IIRC, Amazon sells them for $25. Were you wanting the USB port for charging, or just hooking it up to other devices? The connection for charging doesn't bother me all that much, I was mainly thinking of hooking it up to other devices, but for that i can always buy that asus accessory indeed. Now the hard part will probably be actually finding one, because the TF300 only recently came out in my region and it's hard to find a retailer who has it in stock, which makes me want it even more! I got my Moko case for mine today. But i dislike the fact that the leather also covers the front.